OmniSMS multi-dimensional RA matrix supports risk assessments for people, assets, reputation and environment. For all functional areas of your FBO. Today’s fixed base operator provides many services, including line servicing, parking, towing and tie-down, hangar services, office/lounge services, flight instruction, aircraft sales and rental… (did we mention aircraft charter and maintenance)? Such complexity demands a safety and quality management system that can keep up: OmniSMS. 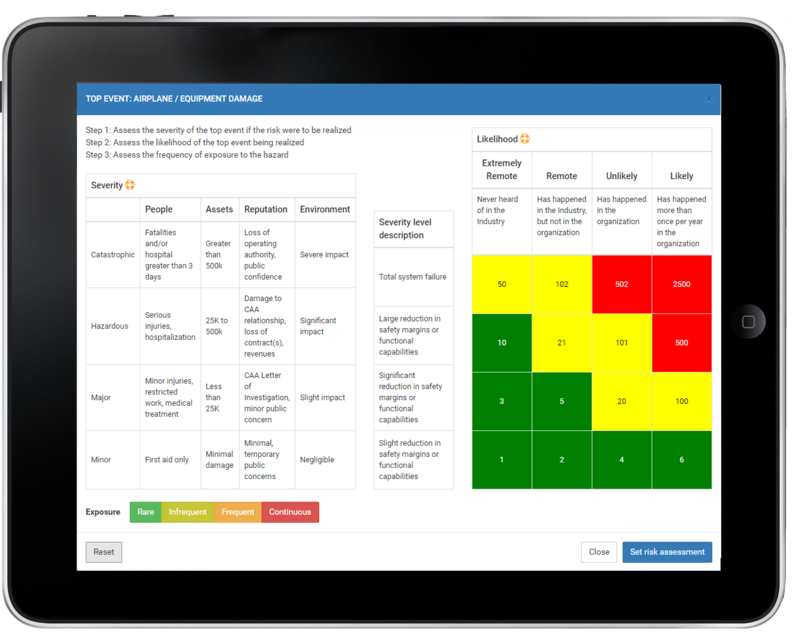 Configure your divisions, functional areas, locations and facilities to track hazards, risk controls, monitoring and followup responsibilities of employees. 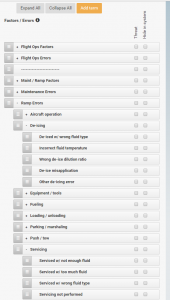 Perform a system assessment to see all risk controls in your line service or maintenance operations; use Boeing’s REDA and MEDA methods (designed into OmniSMS) to get to the bottom of your line service and maintenance errors. Set key safety performance indicators and targets for all departments. Trouble with subcontractors? Perform baseline vendor tabletop audits, special audits, and track your vendors’ corrective actions and follow-ups. 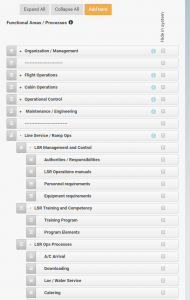 You can even use OmniSMS to manage customer service issues; all while meeting FAA’s SMS Voluntary Program standard for your part 135 and part 145 operations. SMS will soon be mandated for part 135 and 145. Select the right tools to meet FAA requirements, and leverage them to efficiently manage all other aspects of your FBO. Get started now with OmniSMS. 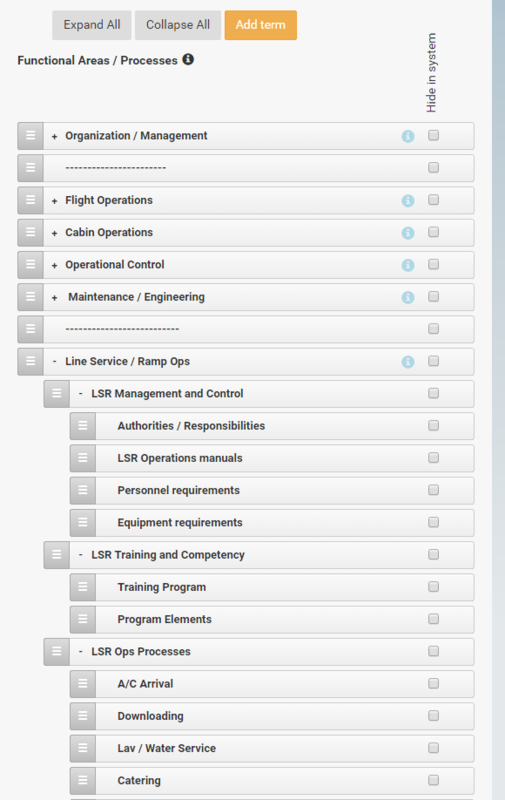 Examples of OmniSMS system configurations for line service processes, factors and errors.